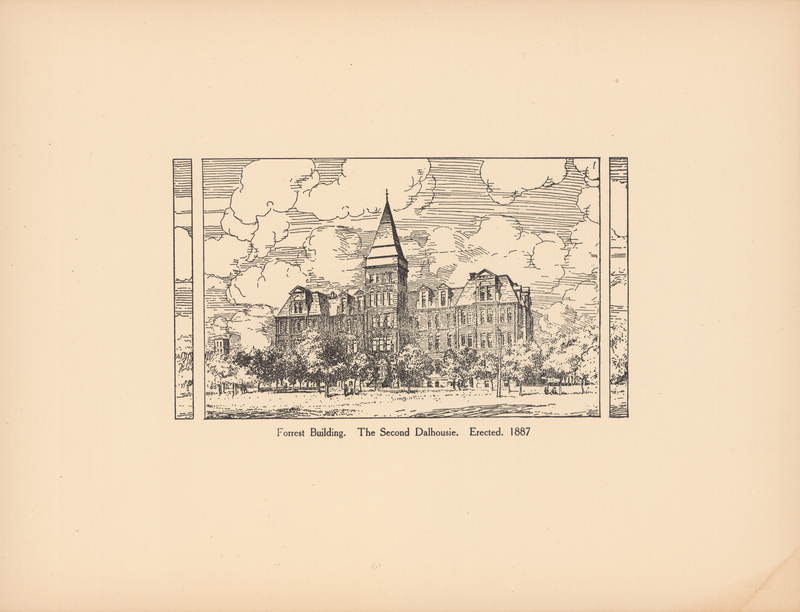 Item is a reproduction of an Arthur Lismer illustration commissioned for One hundred years of Dalhousie, 1818–1918 (1920) and reproduced in D.C. Harvey, An introduction to the history of Dalhousie University (1938) and P.B. 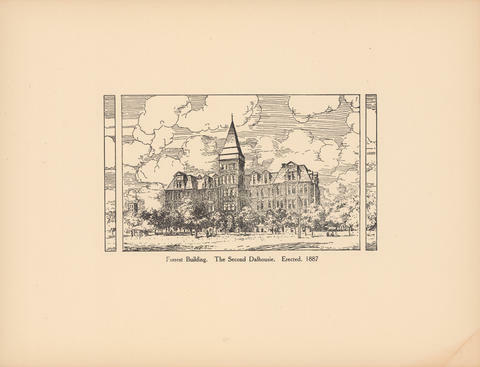 Waite, Lives of Dalhousie University, volume one, 1818–1925 (1994). Item's lower right corner has crease mark.